Fall is my favorite season, though I prefer Autumn, sounds more warming! I love the change in weather, the coziness and the fashion! 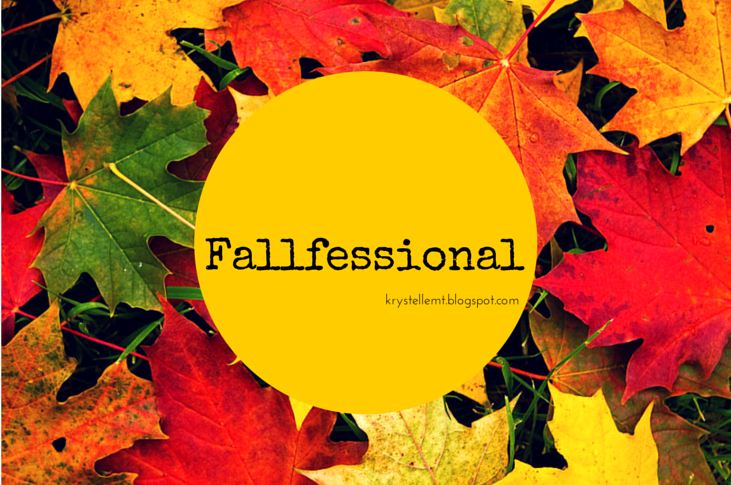 I have been fully embracing the season with my Pumpkin Picks and when I saw Krystelle's link up series Fallfessional, I knew I had to take part! Here are my favorite things about the season! 1. Pumpkin Everything! If you are a frequent reader of the blog, you know this about me already. I can't help myself, the flavor is so comforting to me. 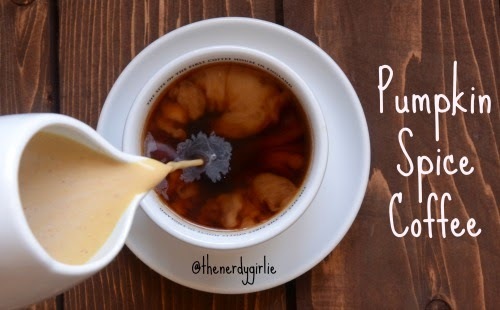 My favorite pumpkin items are my homemade PSL and Trader Joe's Pumpkin Croissants! 2. Fashion! I LOVE the colors of Autumn! 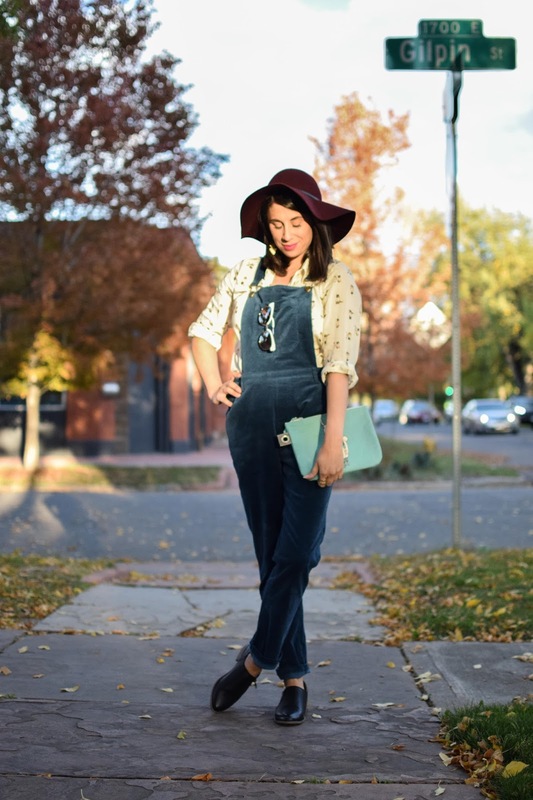 How rich are these jewel colored overalls? I'm embracing the cold weather here in Denver with an awesome new coat and beanies! I am always so happy when the weather starts to cool and I can wear my favorite items. 3. No scary movies! Once time my friend talked me into going to see House of 1,000 Corpses...I made us leave about ten minutes before it ended and I couldn't sleep for a week! BUT I did love the new IT movie! 5. I love a good theme and last year Ocean Eyes and I did a couples costume: Care Bears! I love how me made it his own. Just wait till you see what we come up with this year! Share your Fallfessionals with myself and @krystellemt! Don't forget to check out her original post on her blog: HERE! Thank you Krystelle for the FUN link up! I didn't sleep for like two weeks after seeing the first SAW! I was 15 or 16, and my friend and I went to see it by ourselves...bad decision haha! I was terrified about getting kidnapped by Jigsaw! I am SO ready for everything pumpkin! I especially love pumpkin donuts. I'm with you on the scary movies, I don't like watching them and always end up with nightmares. Can't wait to break out the boots and scarves! I hear you on the scarf addiction. I don't even want to know how many I have now. And I just bought another one. Oof. Yes to all of these! I am right there with you with scarf hoarding! I have ZILLIONS. They're the best. If only LA weather will catch up with the season in my heart... bring on the boots!